Lighthouse Autism Center sponsored and put together a team to participate in the annual Hannah and Friends 5K Run and Walk in South Bend, IN. 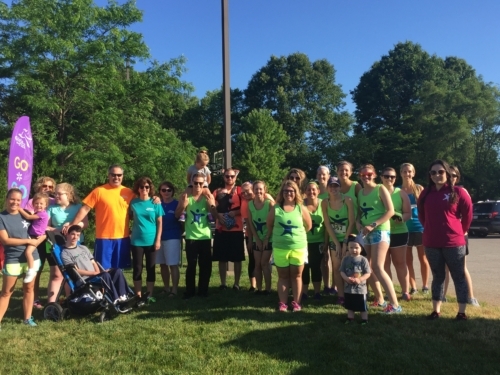 Each year, Hannah and Friends, a nonprofit organization that raises awareness and compassion for those with different abilities, hosts the walk and run in order to raise funds for there many programs that benefit children and adults with special needs. This is the fourth consecutive year Lighthouse Autism Center has sponsored and participated in this event. It is something we look forward to every year and our staff are always excited about. It is a great opportunity to give back to other organizations within our community and support their various missions. We are excited to continue this tradition of sponsoring this event, and are looking forward to it next summer! Lighthouse Autism Center has recently completed the second episode of our Autism Minute series. The Autism Minute is a video series created by Lighthouse Autism Center to provide helpful tips and resources for parents and caregivers of children with Autism. Each series is led by one of our 10 full-time Board Certified Behavior Analysts, and covers a topic we believe to be relevant to caregivers. The second episode of the Autism Minute is about Instructional Control and your child. The video discusses what Instructional Control is, how to gain it with your child, and the benefits that come from having instructional control, including gaining respect from your child and forming a better relationship with them. Hi, my name is Natalie Donkersloot. I’m a program manager at Lighthouse Autism Center at the Edison-Mishawaka location working with the early learners. I’ve been at Lighthouse for a little bit over a year. I’ve began having a passion for applied behavior and analysis in autism in my undergrad at Western Michigan University. Then I decided to pursue a master’s degree in applied behavior analysis while at Western. One of my favorite things about working at Lighthouse is that I get to make a difference in children’s lives every day. Thank you. Today we are going to talk about the importance of earning instructional control between parents and children who have autism. So what is instructional control? It is pairing yourself with your child so that you have a positive working relationship and your child will want to follow your lead to listen and learn. What is pairing? It is the process of combining or pairing the learning environment, people, and setting with items that your child already finds rewarding. In other words it is very important to have a relationship with your child in which they respect you. Often when we have new kiddos start at Lighthouse, parents report that their child does not listen to simple demands or engages in problem behavior when they do not get what they want. While this is not uncommon for children who have autism, there are strategies to help you build and improve a relationship with your child. According to Robert Schramm, there are seven steps to earning instructional control with your child. After implementing the seven steps of instructional control with your child, you will build a better relationship with your child, earn their respect, experience less problem behavior, and you will begin to see your child want to listen to you in order to get good things. You are not going to be able to teach your child everything you want him or her to learn, if you do not earn his/her willingness to follow your lead first. Step 1: Clean the House of Toys. The first step is showing your child that you are the one in control of items that they want to hold or play with and that you will decide when they can have them. You should be in control of all of the toys in the house and the child has to go through you to get those items. This means that you need to clean the house of any toys, items or activities that your child likes to play with by putting all of the toys up out of access of your child. Step 2: Play with your Child. The second step is showing your child that you are fun. This means interacting with your child when they are playing with their favorite toys and activities. You never want to manipulate the child, but manipulate the toy in order to get what you want. This means that the child can play with the toy, but only when it is with you. When the child leaves the area with you then they lose access with the toy. Step 3: Show that you can be Trusted. The third step is showing your child that you can be trusted. It is very important to always say what you mean and mean what you say. This means following through with any and every demand that you give your child. You want to make sure to consider your words carefully. For example, do not ask questions that your child can answer “no” to when you would like them to do something. Do not ask, can you through your plate away? Instead say, throw your plate away. Step 4: Provide Toys when your Child Complies. The fourth step of instructional control is showing your child that following your directions are to their benefit and that is the best way for them to obtain what they want. Give your child easy directions and if they comply then give them access to their favorite toys or activities. For example, if you ask your child to clean up the toys on the floor and they complete the task the first time you ask, then allow them to have five minutes playing with a preferred toy. However, if you give them unlimited time with that toy, the toy will lose its reinforcing value. Also it is important to have reasonable expectations of what you want your child to do based on his/her skill level. Step 5: Provide Toys after every Appropriate Behavior. The fifth step of instructional control is making sure that you provide a reinforcer every time your child engages in good behaviors. You want to make sure to give attention to the good things that they do. This can be something as simple as telling your child what a nice job they are doing playing with one of their siblings. Step 6: Know your Child’s Favorite Toys. The sixth step of earning instructional control consists of demonstrating that you know your child’s priorities as well as your own. Make sure to keep a list of their favorite items and activities and then deliver the more preferred toys for harder instructions. If your child has never been able to independently get dressed, and they do one morning, then that would be a great time to provide a preferred toy or activity. Step 7: Show your Child that choosing to NOT Listen to you will NOT Benefit Them. The seventh step of earning instructional control consists of showing your child that ignoring your directions or choosing inappropriate behaviors will NOT result in any good things like toys, for instance. This means that the ONLY way that they can get attention and toys is by engaging in appropriate behaviors. If they engage in inappropriate behaviors they will NOT get toys and attention. So here are the “Take Away Points”. By implementing the seven steps of earning instructional control with your child, you could potentially improve your relationship with your child, earn your child’s respect, experience less problem behavior, and you will begin to see that your child wants to listen to you in order to get good things. You are not going to be able to teach your child everything you want him/her to learn if you do not earn his/her willingness to follow your lead first. Here are the seven steps one last time. First step, clean the house of toys and keep them out of reach of your child. Second step, play with your child when they are playing with their favorite toys and activities. Third step, show your child that you can be trusted. Fourth step, provide toys when your child complies. Fifth step, first provide toys after every appropriate behavior, and then once they’re engaging in those appropriate behaviors reliably, expect more out of them before you give them the same type of reinforcer. Sixth step, know your child’s favorite toys. Seventh step, show your child that choosing to not listen to you will not result in toys or good things. Warsaw Expansion Complete – Now Enrolling! 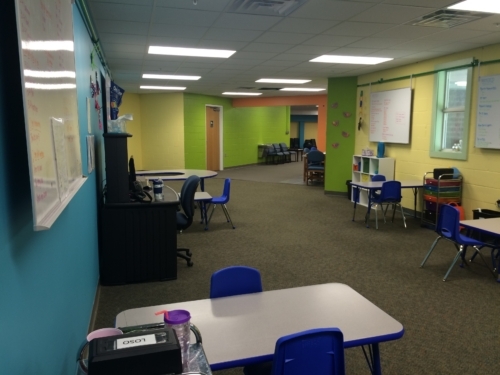 After nearly a year of planning, meetings and construction, the expansion at Lighthouse Autism Center in Warsaw is finally complete. The center is bigger and better than ever, and, we can now serve even more families in the Warsaw area. 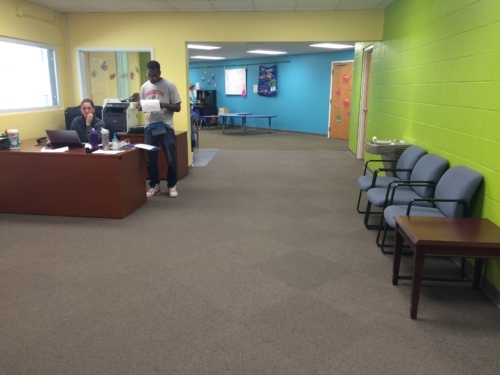 We opened the Warsaw location in July 2013 after many families, doctors, and autism advocates requested us to do so. With no other ABA Therapy providers in that area, Lighthosue flled a much needed gap in autism therapy services. Since then, we’ve enjoyed the support and kindness of the Warsaw community. We’ve also been able to help some pretty wonderful kids and their families. As demand grew for our services, it soon became evident we would need mroe space and more therapists to continue providing ABA Therapy in Warsaw. So, we began an expansion and spent a great deal of planning, time, and resources to make it happen. Now, just under three years after, our expansion is complete, giving us two additional therapy rooms, a bigger playroom, and an indoor swing. The expansion will allow us to grow from serving 7 families to a total of 12 families, with kids from ages 2-12 attending. We anticipate hiring five more therapists from the Warsaw area to accommodate additional children enrolling. Should we find the need for our services continuing to grow, we will consider further expanding to meet those needs. With the construction complete, we’d like to thank the BowenCenter, WJ Carey Construction, and the Lighthouse staff in Warsaw for their help and patience. “Now with this expansion, we have even more resources to continue offering hope for every child and every family in Warsaw,” said Gregg. Zac started three years ago at our Warsaw location as a nonverbal child with many behaviors, and has grown drastically during his time here. He now attends our Plymouth center and has few behaviors and has learned to communicate using one and two word phrases. His family’s dedication to getting him the therapy he needed has allowed Zac to make great strides since first receiving an autism diagnosis in 2013. While he’s been one of the few kids to attend more than one of our centers, and it meant a lot of driving for his family, they know it’s been worth it. 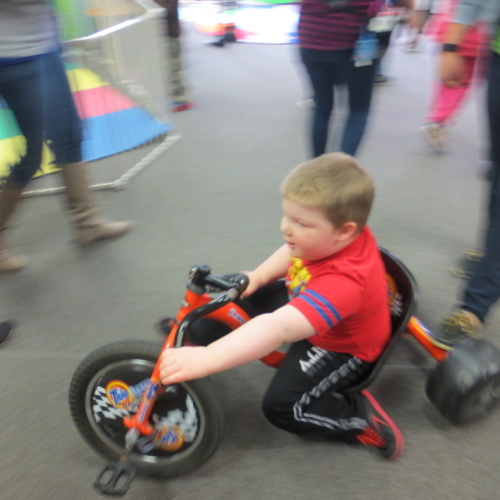 “Lighthouse Autism Center has truly been a lifesaver,” said Racheal, Zac’s mom. Here are several examples of the progress Zac’s made. Independence: Zac’s gone from wearing diapers to being fully potty trained and independent in the bathroom. Communication: Initially, Zac could barely make a few sounds. Now he uses an iPad and has a vocabulary of over 400 words. Flopping: Zac went from flopping almost 400 minutes per day and refusing to work to flopping an average of just 20 minutes per day. Despite repeated evidence to the contrary, there are those who continue to assert a link between the measles-mumps-rubella (MMR) vaccine and autism spectrum disorder (ASD), leading to lower vaccination levels. In the largest-ever study of its kind, researchers again found that the MMR vaccine did not increase risk for ASD. This proved true even among children already considered at high risk for the disorder. The April 21, 2015 issue of the Journal of the American Medical Association (JAMA) reported the results for the study, and an article appeared on the Autism Speaks website (autismspeaks.org). For the study, researchers analyzed the health records of 95,727 children, including more than 15,000 children unvaccinated at age 2 and more than 8,000 still unvaccinated at age 5. Nearly 2,000 of these children were considered at risk for autism. The study found no association between the MMR vaccination and increased ASD risk. It also found no evidence that the MMR vaccination was associated with an increased risk of ASD among children who had older siblings with ASD. To read about this important study, please go to the article on the Autism Speaks website by using this link: http://bit.ly/1QfpH9P.